Got a copy of “Creepy Cute”? 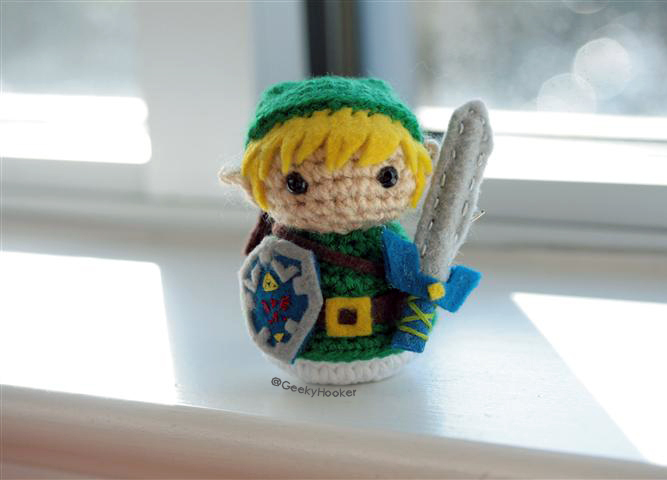 Make a lil’ hero! 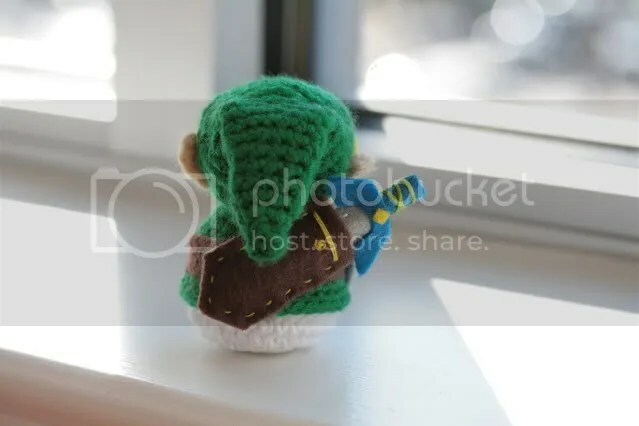 READY TO SAVE HYRULE! Oh yeah, and the princess. I guess he can go save her royal peskiness too. 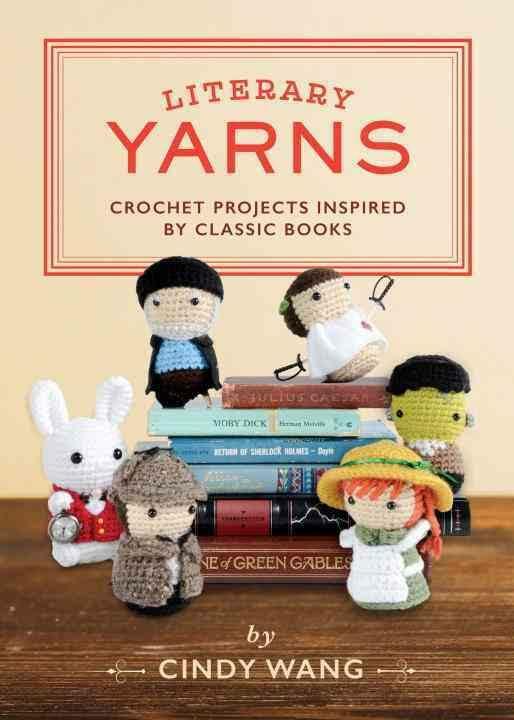 It is a-okay to sell any finished products that you make from this pattern! 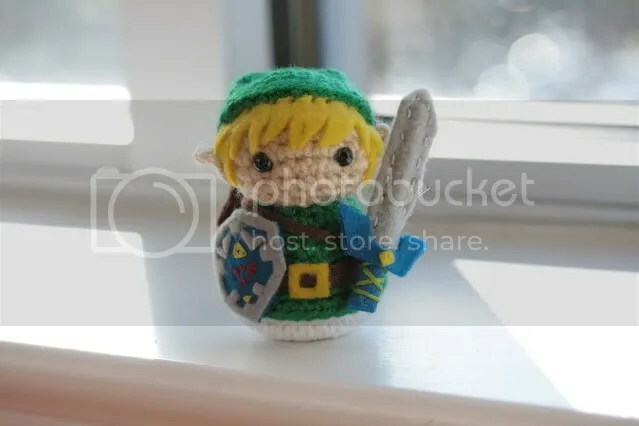 Link is very time-consuming because of all of his little accessories, so in the case of finished products, you are more than welcome to profit from the time and effort poured into the work. He takes some time to make, but he’s worth it! 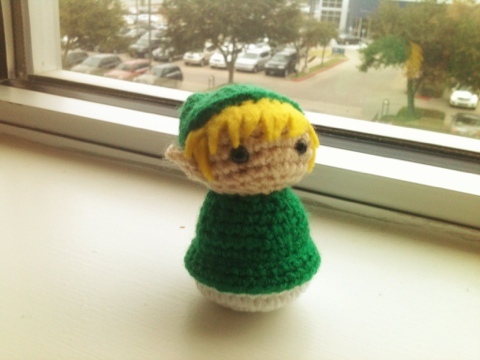 So without further ado, you can find directions for making your own lil’ Link HERE. And if you make one, let me know! I’d love to see your results, or to see what kinds of variations you add to make him even more epic! 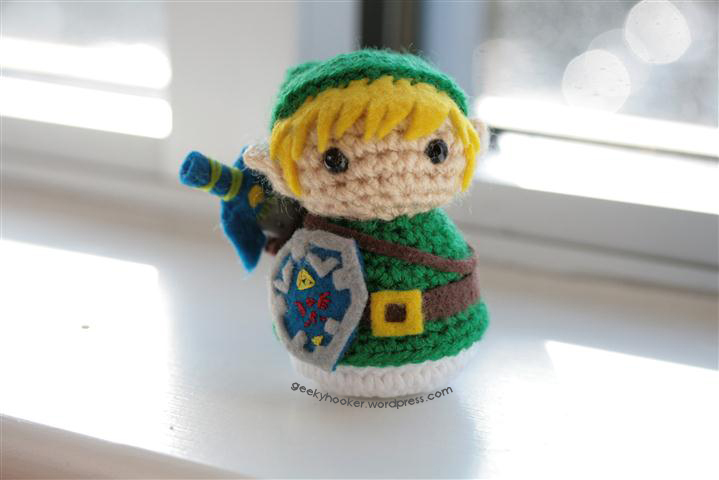 E-mail me at geekyhooker [at] gmail [dot] com, tweet me a photo, or post it to my Facebook page! LITTLE HEROES FOR ALL!